For most people, pairing music with exercise in the form of hitting the streets or getting pumped up at the nearby gym is the most convenient and fun way to get and stay fit. Music can drive away exercise fatigue on a psychological level, thus improving the overall experience. Until now, there has been little effort to upgrade the experience of enjoying music while covering miles on end. Thanks to a new kind of headphones that deliver sound as if you’re not wearing them, people with active lifestyles can now experience a much better routine for keeping their shape and health. 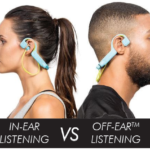 Introducing the Conduit Sports headphones, a new breed of on-the-go headphones using a technology called bone conduction, delivering audio directly to the ear sans the discomfort of in-ear ones. The Conduit Sports headphones come with some advanced audio technology that makes it something coming from the future. A so-called bone conduction technology allows you to hear your favorite tracks while also having the ability to be aware of your surroundings. This tech is particularly helpful in outdoor situations, such as biking or running, where you must be aware of incoming vehicles or passers-by coming along your way. Behind this technology is a novel use of vibrations which sends acoustic waves directly to your ear, essentially bypassing the eardrum in the process. The Conduit Sports headphones uses their proprietary Off-Ear Transducer, a tiny module fitted on the headphone itself that sits near your ear. In addition to the bone conduction technology, it also offers the flexibility to use passive noise canceling thanks to its built-in earbuds. 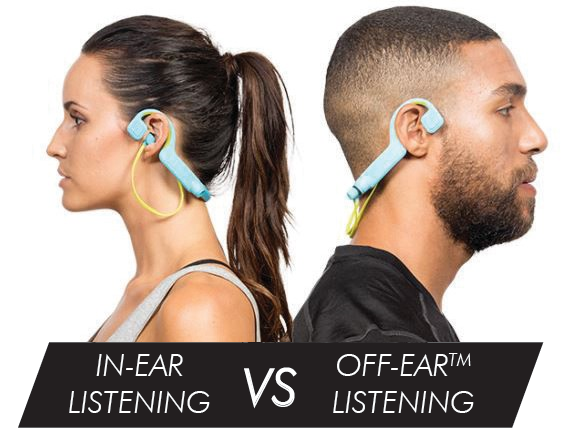 You can use Conduit Sports in either bone conduction mode, earplug mode, or a combination of both. So if you prefer to use it in a quiet environment, the in-ear plugs will do justice to your tunes. To withstand the rigors of outdoor use, Conduit Sports is built strong and durable thanks to its combination of a lightweight titanium frame and a soft and comfortable elastomer material for the jacket. The combination of these two materials makes Conduit Sports resistant to water splashes like rain, sweat, and dust. Audio is wirelessly transmitted from your connected smartphone via a Bluetooth 4.2 connection. 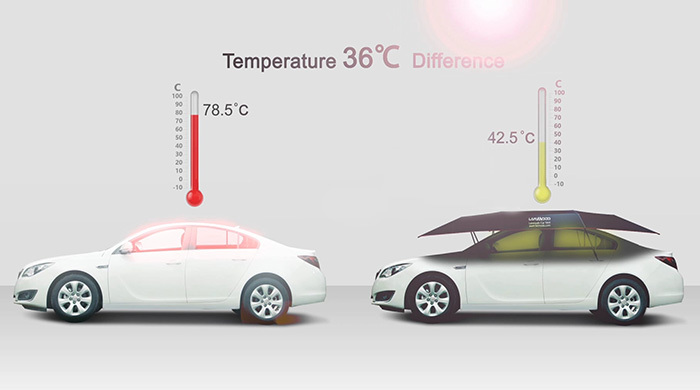 Ergonomics have also been considered with its design, as it comes with multifunction controls on one side. The controls allow you to skip tracks, pause or play, and answer and end calls. Volume rockers are located on the other side of the headphone. A good 6 hours of continuous playback is achieved with a single charge, and audible alerts will notify you of impending need for charging or pairing notifications. The Conduit Sports headphones is an example of a pair of headphones that defy the challenges of truly wireless audio. 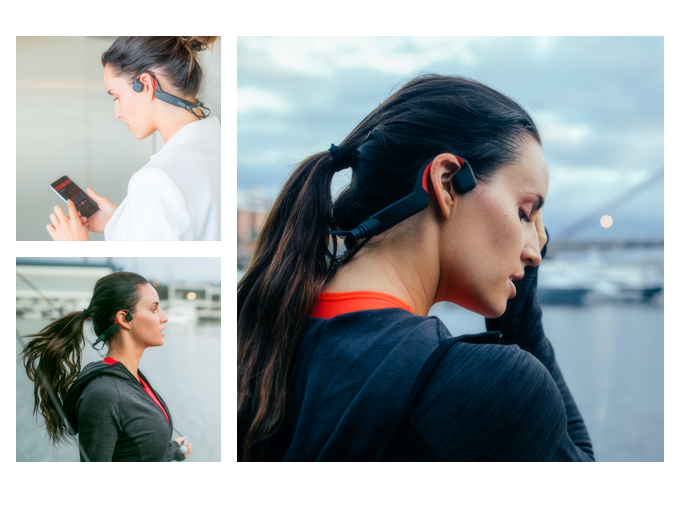 Its bone conduction technology lets you enjoy music freely for hours, paired with a tough construction that’s fully designed for the active outdoors.